Rise to the legendary difficulty of the Golden Age of video games:”Insert coin”… Remember spending all your hard-earned pocket on the arcade machines to complete your favourite games? 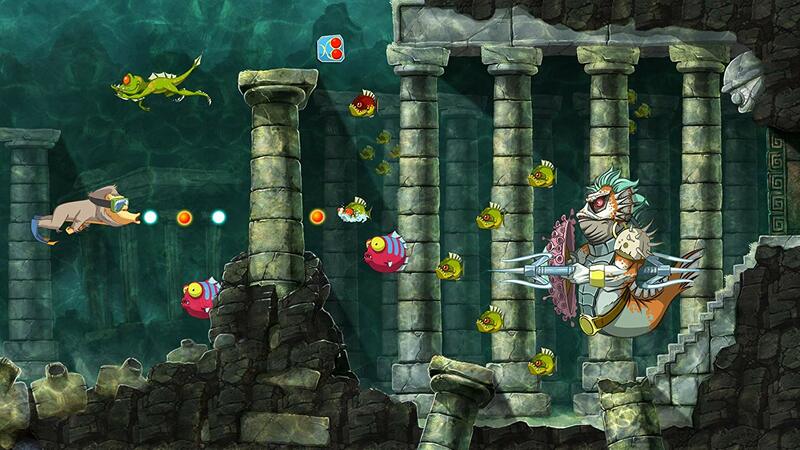 Now you can enjoy the same challenging gameplay without breaking the piggy bank. 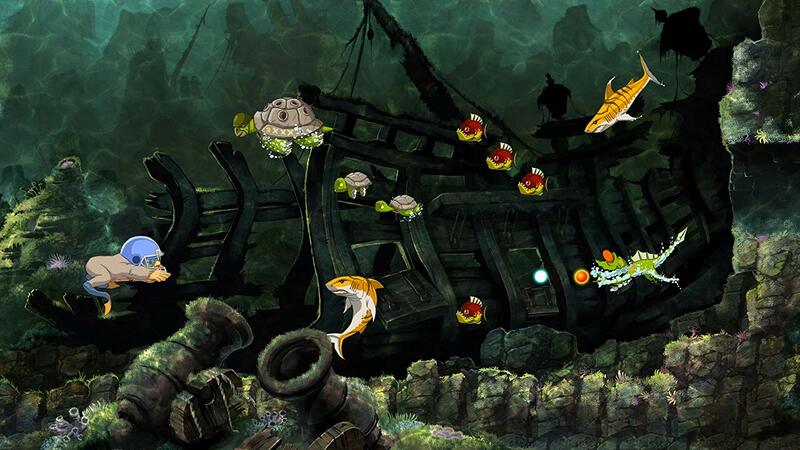 Put your name at the top of the high score table!Rookie players can also enjoy the game with a new easier mode. A masterfully made remake: The game has been entirely redrawn by hand by Philippe Dessoly, illustrator of well-known manga cartoons, such as Captain Harlock and UFO Robot Grendizer, comics and video games. He also worked on the Amiga version of Toki back in 1991 and the game Mr. Nutz in 1992. His drawings have further improved Toki’s apish good looks. 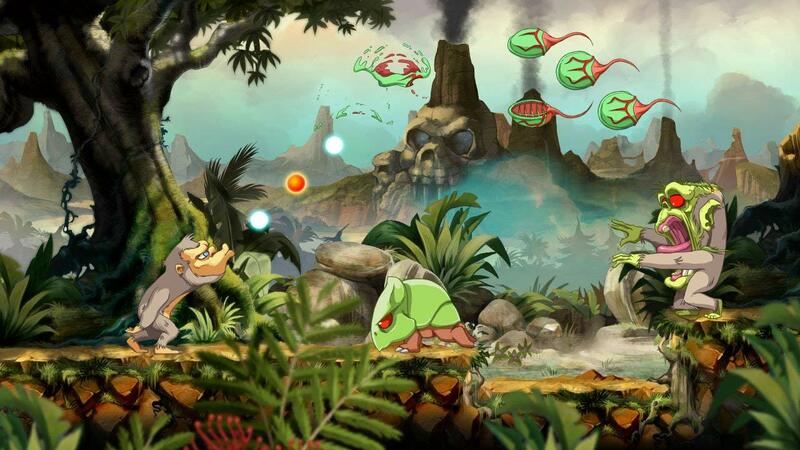 The music has been fully re-orchestrated by composer Raphael Gesqua, providing a retro and modern soundtrack for Toki’s adventure. This award-winning composer has created the music for more than one hundred video games. On the technical side, developer Pierre Adane has worked tirelessly to bring this thrilling experience to life. He also worked on Mr. Nutz (1992) and created the tennis game Top Spin (2003). Microids will be offering a collector’s edition for Toki, otherwise known as the “Retrollector Edition”. 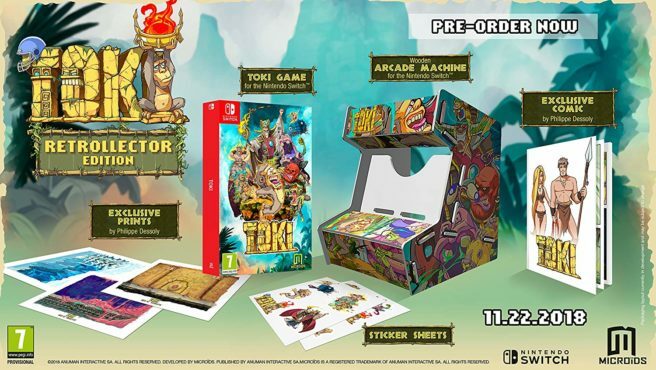 It includes a copy of the game, an exclusive 16-page Toki comic with an original story illustrated by Philippe Dessoly, prints, sticker sheets, and a mini arcade machine with the game’s colors to house the Switch screen. 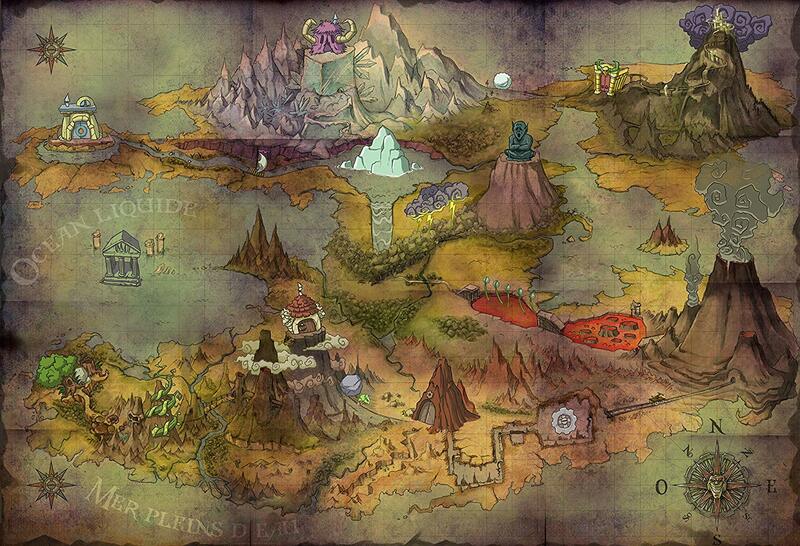 Pre-orders are thus far open on Amazon UK here. Toki launches November 22 for Switch.